Many songwriters dream of being able to come up with an evergreen song that will still mean something special to listeners in years to come (and, ideally, keep earning royalties for years to come!). One example of this is the kind of song that newly married couples choose for their ‘first dance’ at their wedding celebrations—a song that will always bring back those ‘special day’ feelings for them. Now, leading music streaming service Spotify has unveiled a list of the world’s 10 most popular ‘first dance’ wedding songs, based on the listening choices made by many of its 40 million active users across 56 countries. Spotify studied over 30,000 wedding-themed playlists and also analyzed 12,000 single-track playlists named ‘First Dance’ in order to identify listeners’ most popular wedding choices. According to Spotify, the world’s most popular ‘first dance’ song is Etta James’s 1960 classic ‘At Last’ which was originally written by Mack Gordon and Harry Warren in 1941 for the film musical Orchestra Wives (performed in the movie by Glenn Miller and his orchestra). If you can write a song that becomes someone’s ‘special song’ with a lyrical message and melody that will always remind them of a particular day (such as their wedding), then it is indeed a great achievement. When Grammy Award-winner Drake released his 2013 single ‘Hold On, We’re Going Home’ (subsequently covered by the Arctic Monkeys), he hoped the song would go on to become a “timeless” wedding song that would still be played at nuptials in years to come. “I thought it would be great if we had a record that was still played at weddings in ten years … something that just has timeless writing and a timeless melody,” he told MTV News at the time. 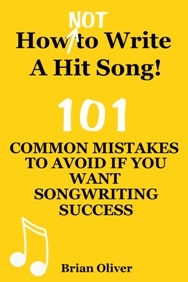 And there are solid scientific findings to support this ‘long-lasting’ approach to songwriting. In 2008, researchers at the University of Leeds in England found that music has a powerful influence on the storage and retrieval of long-term memories. A piece of music can become so closely associated with an event from a person’s life that hearing the music again evokes powerful memories of the original experience. In a recent UK survey, half of the men and women interviewed said they are taken back to memories of a past relationship whenever they hear a certain song. And 20% said they have a particular song that always reminds them of their first kiss.